Jaime August 21, 2015 February 24, 2016 Comments Off! Running fundraising events can be challenging, but the one thing we always hated was over-asking things of our core group of supporters. It never made sense to us to first ask them to donate items to our event, and then later ask them to come to our event and essentially buy those items back! That’s just downright crazy-talk. And what’s worse is that it takes a toll on your bottom line. But what other choice do you have? Asking for donations in person can be tough. We get it. It can be intimidating and, often times, less-than-fruitful, especially since so many local businesses are bombarded on an almost daily basis with requests from various organizations just like yours. But what if you didn’t have to ask for donations in person? What if you could hang out in your pajamas and request donations via the internet after the kids go to bed? Well you can! But where do you find these companies and their donation request forms? Well, you have two options. You could either search online for hours, sifting through endless webpages trying to determine if the company will even donate to your cause, or you could try UltimateDonations.org. Ultimate Donations has a list of over 2000 potential donors for you to solicit, whenever it is most convenient for you. Even if you are in your pajamas. Sign-up and Log-in: Sign up for an account and create an event. Select any of our plans Bronze (free), Silver, or Gold. Once you have selected your plan that’s it. There is no risk, no additional costs, and no hidden fees. Select and Solicit Donors: Depending on the plan that you select, UltimateDonations.org will generate a list of donors for your organization out of our master list of over 2000 potential donors (companies and celebrities). Select your favorites and easily solicit for your donations, all from within our site. You can even keep track of their status on a case by case basis. No more hunting around the internet for hours or scrolling through endless lists only to find broken links and wasted time. Done. : Once you submit your donation requests you’re done! Any companies that will fulfill your requests will send correspondence and items directly to you. Those are free items for your event, which means your organization receives 100% of the profits made at your event! 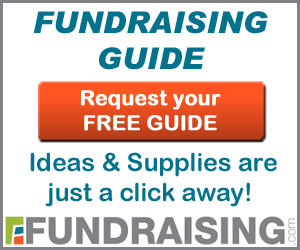 Want to speak with one of our fundraising experts today? Please click here to fill out our contact form and we will get in touch with you and assist you in having the best fundraiser you could ever imagine. January 18, 2016 January 19, 2016 Comments Off! 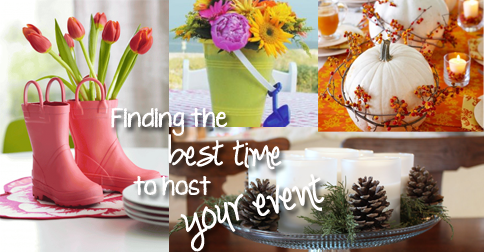 When’s the best time to plan your fundraising event? January 5, 2015 February 24, 2016 Comments Off! December 13, 2015 December 12, 2015 Comments Off! March 20, 2017 March 20, 2017 Comments Off!